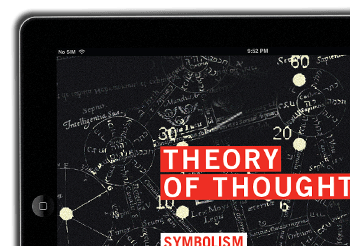 When talking to people about my work, the question often arises, why build a theory on symbols? To many of us, symbols are vague, emotional, arguable, and lack any ‘real’ measurable substance. A symbol can be anything, such as a flower, or a tree, or a family. And from there we attach meanings to these things. So a flower can mean love, a tree can mean wisdom, and a family can mean love and wisdom. It all seems pretty subjective, and lots of things can mean lots of things, to lots of different people. 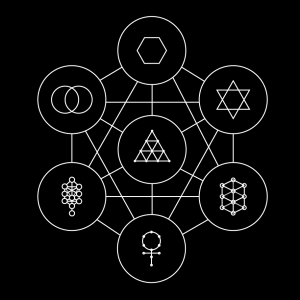 We know that all living minds communicate using symbols, however, how do our networks of symbols forge the growth and change within our lives? And perhaps, is there a better methodology for systematically measuring symbols? For example, how does one quantify the energy found in text, images, photos, logos and other objects? It seems to me that meaningful designs must contain energy – a type of energy that makes people think and move. But how is this energy defined? How does one symbol act upon another? 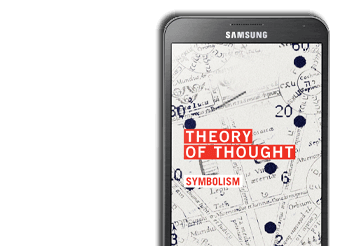 Thought theory seeks to reframe some fundamental laws of psychology to the scope of physics, and explain the forces acting upon symbolic structures within an abstract space. In my research, I’ve put together a rudimentary philosophy on the behavior of ‘minds’ and ‘symbols’ within an abstracted region. I now believe that one day, people will create a hyper-dimensional geography of symbols, and use it to navigate a hidden world of thought. 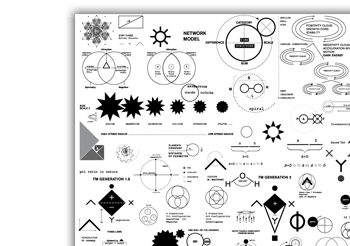 With a map of symbols, we could plot our future more closely. We could arrange mathematical processes to re-organize and decrease the structures of complexity that separate minds from one another. Reducing or re-ordering complexity in abstract space might be the solution for eliminating or drastically reducing the possibilities of war, famine, poverty, and pain. Maybe one day, we might re-engineer our economic models and all of society could be structured in concert with our mental nature. ← Prev: What Is A Symbol?